I took a trip to Seattle last weekend. I got to spend four days getting to know the city– thanks to my sister who let me tag along on her work trip! 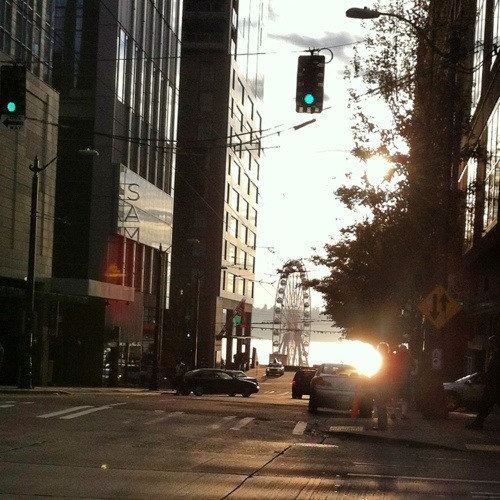 Even though I’ve lived in Portland for more than six years, I’ve never made it up to Seattle for more than a day or two. So, this was long overdue. Highlights and more photos after the jump. 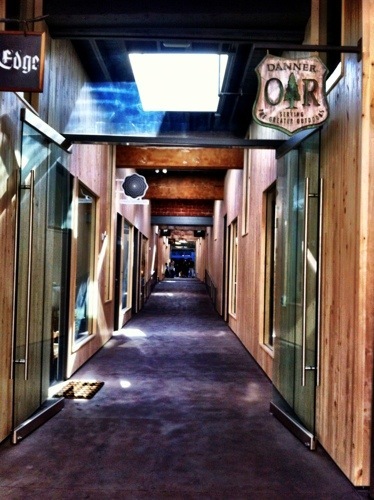 VISIT: Union Way in Portland. My sister and I finally made it this weekend to check out this attractive experiment in urban re-development. An “alley” was carved through a city block to create a row of shops connecting Powell’s Books on Burnside with the Ace Hotel on Stark. Not only is it a lovely space of rough-hewn beams with sun streaming in from above, but it also features an impressive line-up of tenants. These include Steven Alan, Danner, and Micah Camden’s Boxer Ramen. I also discovered two new favorites: Spruce Apothecary— check out the amazing fragrance lines they carry, and Marine Layer— for San Francisco-made comfy-stylish clothes at reasonable prices. BROWSE: the quarterly magazine and website of the resurrected Domino. 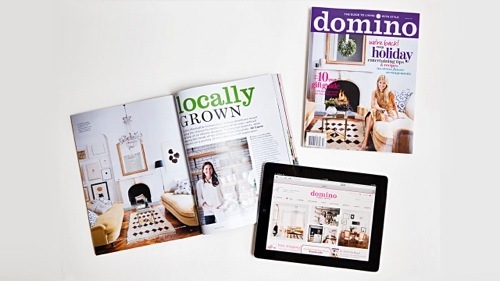 The design magazine with a cult following is back with a new business plan. You can pick up the holiday issue, their first new issue in four years, on news stands until mid-January. 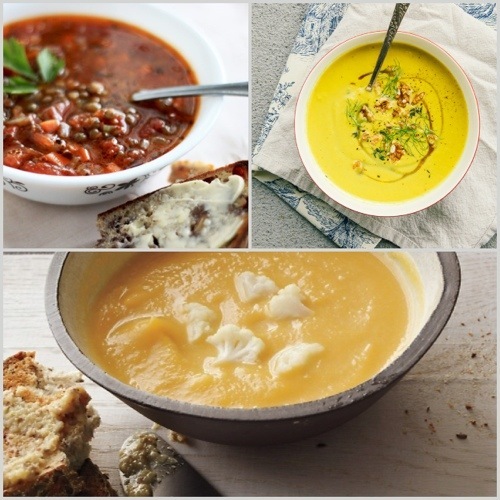 This roasted butternut squash and cauliflower soup from Whole Living is a long-time favorite at my house. It’s simple enough for everyday and elegant enough for company. The secret: the sweetness of the butternut squash is perfectly balanced by the cauliflower and balsamic caramelized onions. I think I found the perfect lentil soup recipe this week, courtesy of The First Mess. I made two minor tweaks: I added a about half a cup of Pinot Noir Rosé add let it reduce a bit before adding the tomatoes for an extra layer of flavor, and for simplicity, I used Herbes de Provence instead of adding thyme and tarragon separately. Use French green lentils if you can, they keep their texture while other lentils will get a bit mushy. At the top of my “to try” list is this leek fennel apple and walnut soup, also from The First Mess. The unique flavor combination (not to mention the gorgeous photo) caught my attention. LEARN: all about the many types of gluten-free flour and their respective strengths in this brilliant compilation from Meg of Beard and Bonnet. 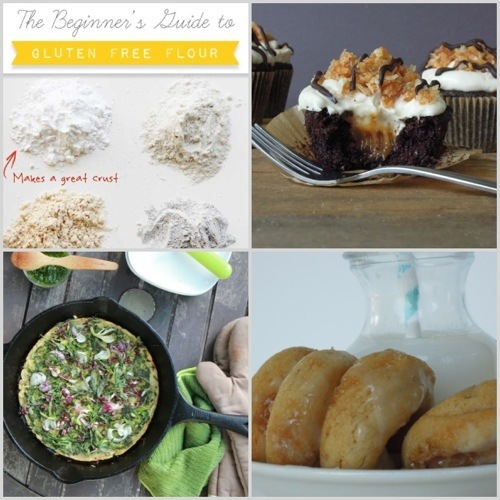 Bonus: Meg provides a curated list of amazing-looking recipes for each flour type. I want to bake my way through pretty much the entire list. Thanks, Meg! EAT + DRINK: All things apple. 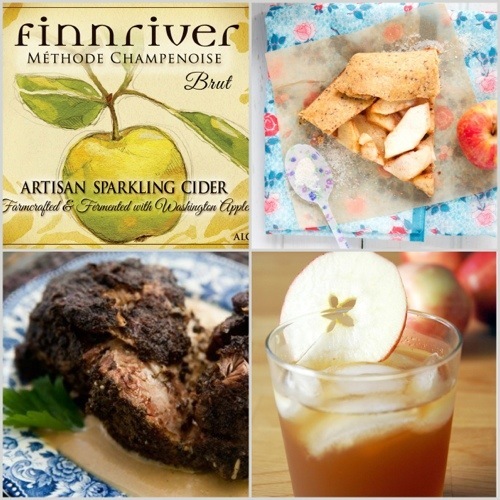 Sip some cider from the experts at Finnriver. Their elegant and easy-to-drink champagne-style artisan sparkling apple cider perfectly balances crisp and tart notes with the slightest bit of sweetness. Great on its own, but also pairs easily with food from apps to dinner to dessert. Bake this apple gallete from La Tartine Gourmande, my hands-down favorite source for simple and delicious gluten-free baked goods. Mix up some fall warmth with this simple cocktail made of bourbon, ginger beer and apple cider, courtesy of Portland’s own Tampopo Press. And last but not least, dig into this slow roasted pork shoulder with apple onion gravy from Simply Recipes. It’s nearly effortless and super delicious. Did I mention it’s paleo? 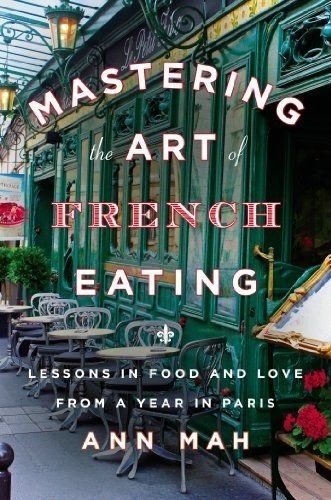 READ: Ann Mah’s Mastering the Art of French Eating. Think of it as a food-focused French vacation for your brain for less than the cost of dinner. According to Ann, eating is every bit as much of an art form as cooking. I pretty much love her and will be curled up with this book over the holiday weekend. TABLETOP: It’s the time of year when Heath Ceramics releases its limited edition winter seasonal collection. 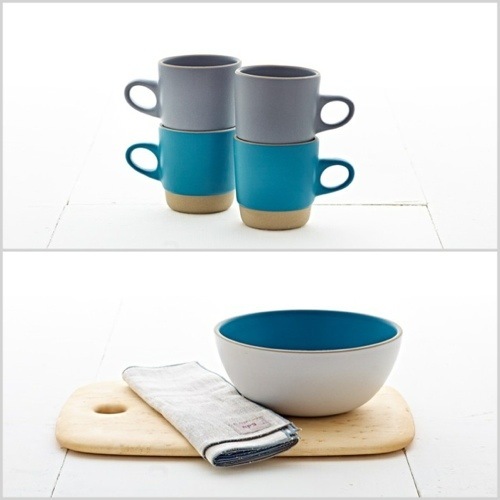 The serving bowl and mugs featuring their striking seasonal color, blue pine, are my favorite. 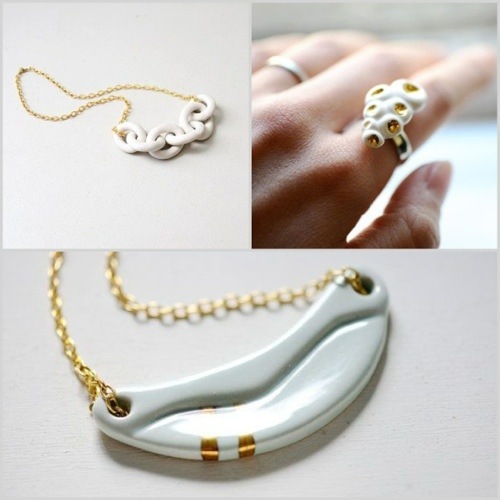 WEAR: Handmade porcelain and gold jewelry with a flair for the nautical from Boston-based jewelry designer Kimberly of Porcelain and Stone. Her love for her craft is evident in each of her unique and stunning pieces that work equally well with jeans or a wedding gown. LISTEN: I made a Spotify playlist of some of my favorite sun-drenched, dusty backroads, faded blue jeans songs of the summer. Enjoy with the windows rolled down! WEAR: Do you know about Uniqlo?– the good quality, low price, big-on-design Japanese clothing store with outposts in New York and San Francisco. They’ve been doing some brilliant designer collaborations. When I was in New York earlier this summer I snagged a couple finds from their collections with indie NY fashion label Suno and British textile designer Celia Birtwell. Now they’re back with two new collaborations: prolific type foundry House Industries and Finnish fashion company Ivana Helsinki— both with unique and beautiful prints. It was tough deciding, but I picked a few favorites that should be landing on my doorstep any day now. 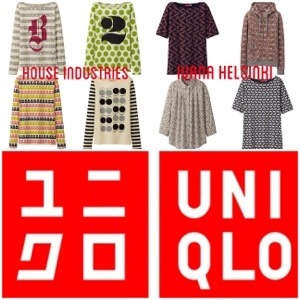 Shop Uniqlo’s Ivana Helsinki and House Industries collections online and or in stores. 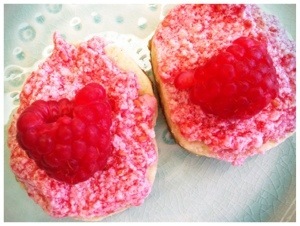 EAT: Try these easy and super yummy raspberry buttercream frosted sugar cookies. I baked up a batch of sugar cookies using The Pure Pantry’s gluten free mix. To make them extra special, I frosted them with raspberry buttercream and topped with fresh raspberries. For the frosting, add 1 cup of puréed raspberries to your favorite buttercream recipe. To make it dairy free, substitute Earth Balance for butter. 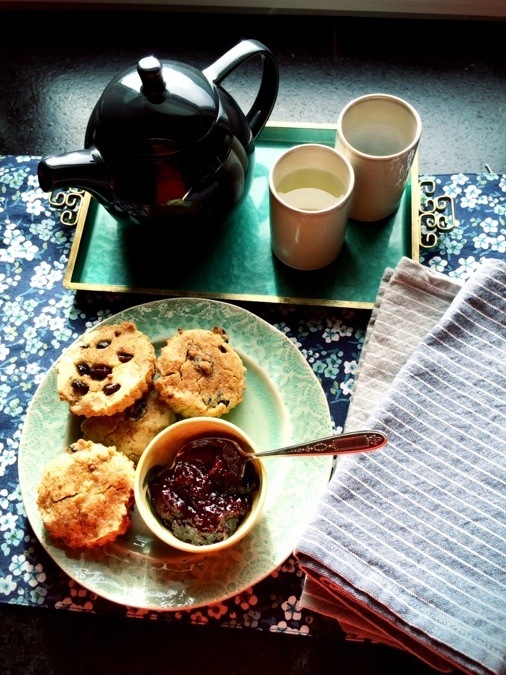 READ: Over at A Cup of Jo, Joanna Goddard is doing a really wonderful (and surprising!) series on motherhood around the world. While it focuses on being a mom, it also gives a slice of daily life more generally. 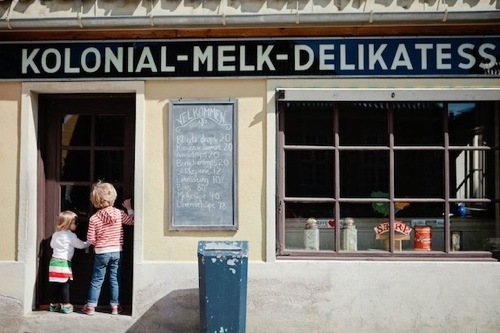 I don’t want to give too much away before you go and read for yourself, but I loved the story about babies sleeping outside in the cold in their prams in Denmark.